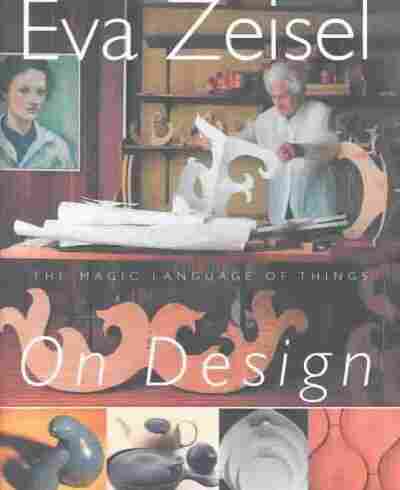 Raising the Curve: Designer Eva Zeisel Considered one of the premier industrial designers of the 20th century, 98-year-old Eva Zeisel still designs porcelain in her New York apartment. This month, Crate & Barrel reissued tableware from her 1952 collections. 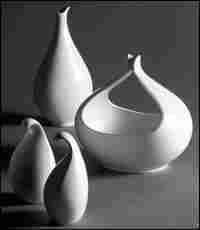 Swooping up and around in whimsical curves, the ceramics designs of Eva Zeisel seem to almost come alive. "I do curves because I'm curvy -- meaning I am a little bit fat," she says. Considered one of the premier industrial designers of the 20th century, Zeisel -- at 98 -- still designs porcelain in her New York apartment. While the scarce originals of her early work have become sought-after collector's items, her signature curves can be found in the permanent collections of the British Museum, the Metropolitan Museum of Art and MOMA. This month, Crate & Barrel introduced "Classic Century," a reissue of some of Zeisel's 1952 china collections. 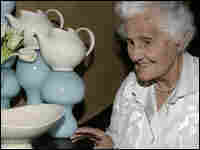 Born in Hungary in 1906, Zeisel began her career at 18 as an apprentice potter. After jobs in various ceramics factories, she traveled to Russia where she worked her way up to art director of the state china and glass industry. In 1936, she was accused of plotting against the government and imprisoned for more than a year in a Soviet prison. Her time in solitary confinement was later recounted in the novel Darkness at Noon, by her friend Arthur Koestler. After her release, Zeisel made her way to the United States, where she began teaching ceramics arts at New York's Pratt Institute. 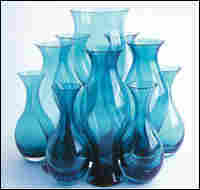 Her fluid works quickly gained attention, establishing Zeisel as a leader in modern design.